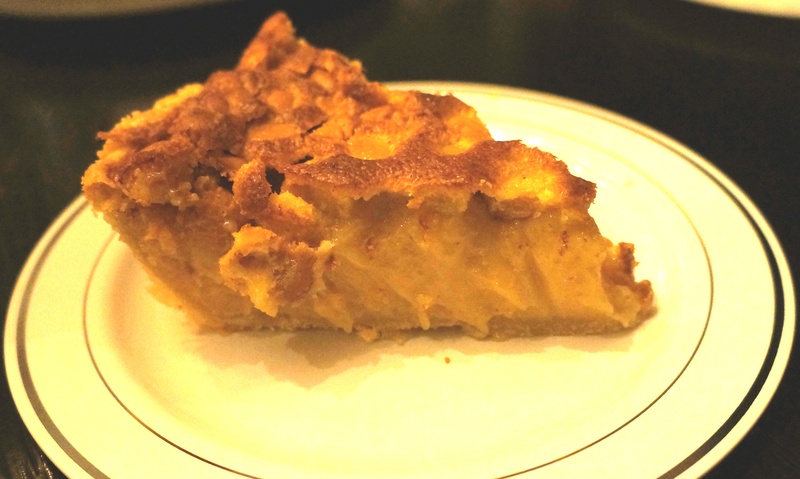 Here is Harris’ twist on the classic, Macadamia Nut Pie! • 12 oz Ghirardelli White Chocolate, broken into pieces. Place a medium saucepan over very low heat and add butter. Once the butter is melted, add the milk and chocolate. Stir constantly until the chocolate is melted. Once melted, remove the mixture from the heat. In a large bowl, mix the eggs, sugar, flour, and vanilla. Add the chocolate mixture and stir until well blended. Cover the bottom of a prepared pie shell with the Macadamia Nuts. Pour filling over the nuts. The nuts will actually rise to the top. Carefully, place the pie in a preheated oven at 425 degrees F and bake for ten minutes. Reduce the heat to 350 degrees. Vent your oven and bake for another ten minutes. Reduce heat one last time to 250 degrees for the remaining hour and fifteen minutes. Note: The reduction of the temperatures really depend on your oven, but you really want to keep the top from becoming too brown or burned. 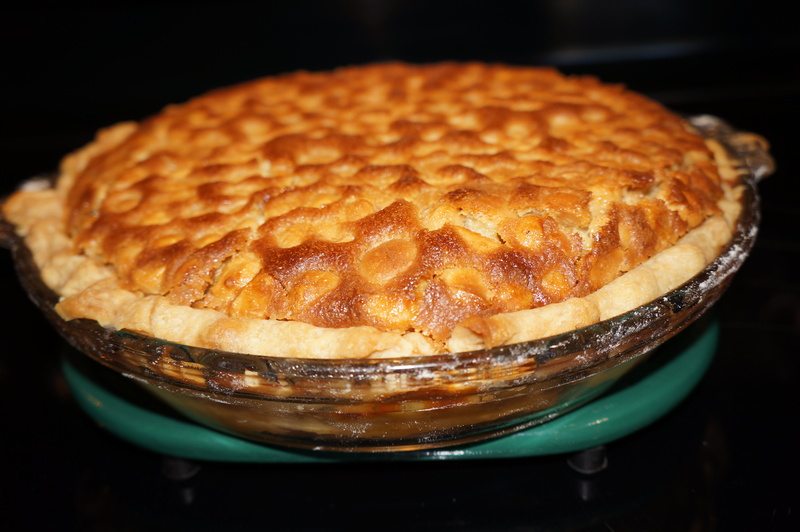 The pie will be done when the filling cracks around the edges and rises ½ to ¾ inches. Remove the pie from the oven. Allow it to cool completely and refrigerate before serving. Enjoy!